32 years, 7 months, 12 days old age. Sonia Mann will turn 33 on 10 September, 2019. Only 4 months, 18 days, 10 hours, 25 minutes has left for her next birthday. Sonia Mann has celebrated the total number of 32 birthdays till date. See the analysis by days count and bar graph. 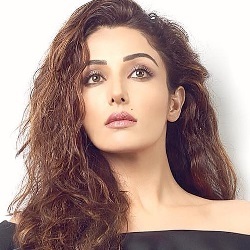 Sonia Mann was born on 10-09-1986 in Haldwani in the state of Uttarakhand, India. She is an Indian Model & Film Actress who is well-known for her work in Punjabi music videos, Punjabi films as well as Hindi & Telugu cinema. She won the title named Limca Fresh Face of Punjab & Miss Amritsar. She was born to an activist, editor Baldev Singh Mann & a homemaker Parmjit Kaur. When she was only 15 days old, her father murdered on 26-09-1986 during Khalistan movement.